DAXX, the Death domain associated protein 6 (also named Fas death domain associated protein, ETS1-associated protein 1 or EAP1), functions in part as a transcriptional co-repressor through its interaction with a number of nuclear, DNA-associated proteins, such as histone deacetylase II, core histones H2A, H2B, H3 and H4, and Dek, a chromatin- associated protein reported to change the topology of DNA in chromatin in vitro. 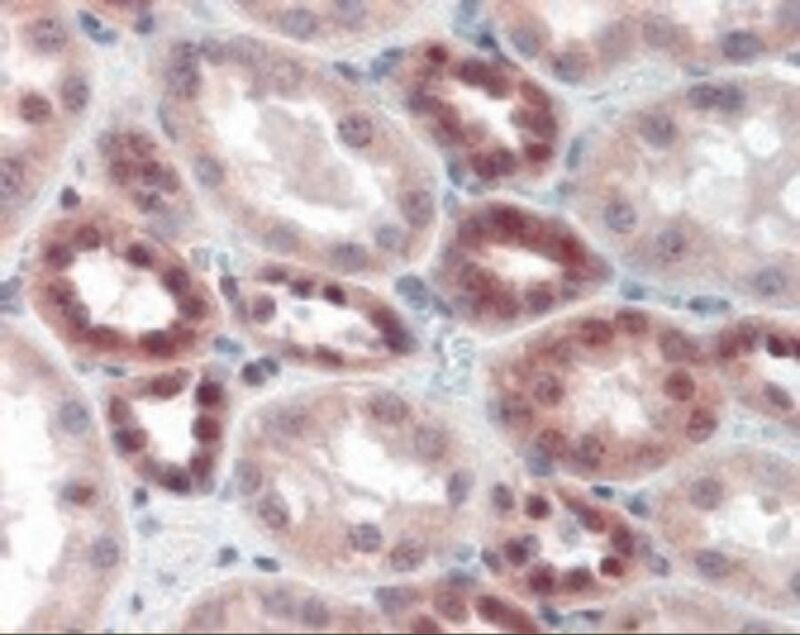 DAXX also interacts with p73, and is involved in the regulation of the cell cycle and apoptosis through transcriptional regulation of p53 and possibly its family members. 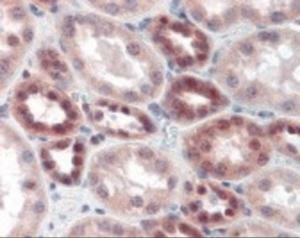 DAXX antibody can be used in Western Blot, and immunohistochemistry starting at 5 μg/mL. 0.02 M potassium phosphate, 0.15 M NaCl, pH 7.2, 0.01% sodium azide.